 The Scottish Music Industry Association (SMIA) is a membership organisation and innovation agency which exists to represent and develop the Scottish music industry. With a sharp focus on common rather than competing interests; a commitment to communicate and cooperate across all areas of the industry and, above all, a determination to deliver services, projects and a programme of events that are both meaningful and of benefit, the SMIA is inclusive, positive and progressive; meeting need, realising potential and encouraging ambition. Except to the extent that we are required or permitted by law, any personal information which we collect will be used solely for the purpose of providing our services, and we will not hold it for any longer than is necessary for this purpose. Personal information is information about an identifiable individual. Publicly available information, such as a public directory listing of your name, address, telephone number, or email address, is not considered to be personal information. The information we collect is primarily used to provide our services, to process and complete any transactions (such as memberships and events), to respond to inquiries, to personalise and improve our services, to monitor and analyse usage and trends of our services, and to allow our business partners to understand how you interact with our services, as described in this Policy. In connection with certain aspects of our services, we may request, collect and/or display some information about you. We collect the following types of information from our website users. When you join the SMIA as a member, we will collect personal information from you, such as your name, email address, job title, company of work and location. We use your contact information to send you information about our Member Services, and we will request to display you on our Scottish Music Industry Database that is available on our website to Core Members of the SMIA only. You may unsubscribe from receiving certain types of emails through your Account settings, although the SMIA reserves the right to contact you when we believe it is necessary, such as for administrative and account management purposes. If you are visiting the SMIA website and haven’t logged in as a member, some of our services and resources will require you to join the SMIA (and therefore provide us with information about you) before access is granted. The information we ask you to provide us with will be for internal use only, unless otherwise requested. This may be, for example, to add you to our Scottish Music Industry Database, listing practitioners working in Scotland’s music industry and their contact details for the use of SMIA Core members. You will have the option to not grant us permission to make your information publicly available on our website. When visitors leave comments on the SMIA website we collect the data shown in the comments form, and also the visitor’s IP address and browser user agent string to help spam detection. If you upload images to the SMIA website, you should avoid uploading images with embedded location data (EXIF GPS) included. Visitors to the website can download and extract any location data from images on the website. If you are an SMIA member and you log in to this website, we will set a temporary cookie to determine if your browser accepts cookies. This cookie contains no personal data and is discarded when you close your browser. Under ‘Privacy’, click ‘Content settings’. In the ‘Cookies’ section, you can manage your cookie settings. Click ‘Tools’ on the browser toolbar. Click the ‘Privacy’ tab, where you can manage your cookie settings. Click the ‘Firefox’ button, or ‘Tools’ at the top of the browser page. Set ‘Firefox will:’ to ‘Use custom settings for history’. Manage your settings to accept or reject cookie types. Click ‘Safari’ at the top of the screen. The SMIA website uses Bitly to collect information about accesses (such as clicks) of every Bitly Link created to access our services. This information includes, but is not limited to: (i) the IP address and physical location of the devices accessing the Bitly Link; (ii) the referring websites or services; (iii) the time and date of each access; and (iv) information about sharing of the Bitly Link on Third Party Services such as Twitter and Facebook. This information is used by the SMIA, Bitly and its partners to improve their websites and services by, for example, providing value-added features, and to analyse clicks on Bitly Links, for example to understand how, when and where Bitly Links are clicked. If you join the SMIA as a member, you will have the option to consent to being publicly listed on our Scottish Music Industry Database, which is available on our website to Core Members only. The information that will be publicly displayed includes your name, position and company, as well as links to your company website and social media channels. Should you consent to being listed on our Scottish Music Industry Database and later want to be removed from this list, you can email info@smia.org.uk and we will remove your information as soon as possible. All website users will have the opportunity to provide personal information to be included in our Scottish Music Industry Database. This database exists to provide Core SMIA members access to relevant information for other music business practitioners who they may wish to contact regarding business opportunities. Information we will request from you which will be displayed on our database includes your name, position, company, email address, office address and links to your social media channels. Should you consent to becoming part of our database and later want to be removed, you can email info@smia.org.uk and we will remove your information as soon as possible. As part of the SMIA’s services, we conduct research on the Scottish music industry. For specific research projects, we may contact you using the email address you have provided us with to request your participation. We will explain what data we require, as well as how it will be used and shared. Any sensitive data will be anonymised and aggregated before our findings are published. For SMIA members that login to our website, we also store the personal information they provide in their user profile. All users can see, edit, or delete their personal information at any time (except they cannot change their username). Website administrators can also see and edit that information. If you have joined the SMIA as a member and have an account on this site, or have left comments/provided us with personal information, you can request to receive an exported file of the personal data we hold about you, including any data you have provided to us. You can also request that we erase any personal data we hold about you. This does not include any data we are obliged to keep for administrative, legal, or security purposes. The SMIA uses cloud based software Dropbox and Google Drive to store all company data. Personal data we have collected from you will therefore be stored on both Dropbox and Google Drive, and by using our services and providing us with data you agree to allowing your data to be stored and sent to Dropbox and Google Drive. If you have any questions or concerns regarding the personal data we collect from you and the terms set out in this policy, please email info@smia.org.uk and we will get back to you as soon as possible. If you are an SMIA Member and login to our website, your Account information is protected by a password for your privacy and security. You can prevent unauthorised access to your account by selecting and protecting your password appropriately and limiting access to your computer and browser by signing off after you have finished accessing your account. The SMIA endeavours to protect the information it collects about its members and website visitors using industry-standard security processes and controls, however, despite these efforts, no security measure is perfect or impenetrable and the SMIA does not guarantee or warrant that such measures will prevent unauthorised access to the information about you that is stored by the SMIA. The SMIA may use personal data we obtain from website users for analytical purposes to allow us to provide the best service possible.